Note: This page is a work in progress. 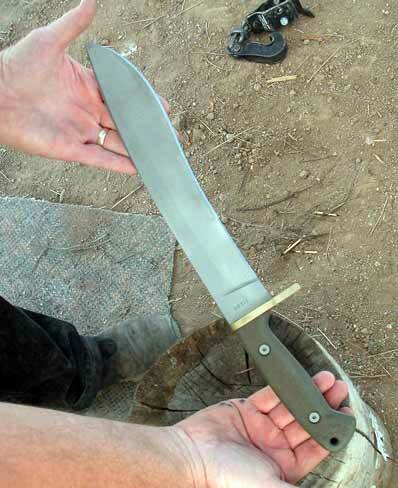 The initial tests and usage indicate that this is likely to be a terrific camp knife with powerful chopping and great balance. 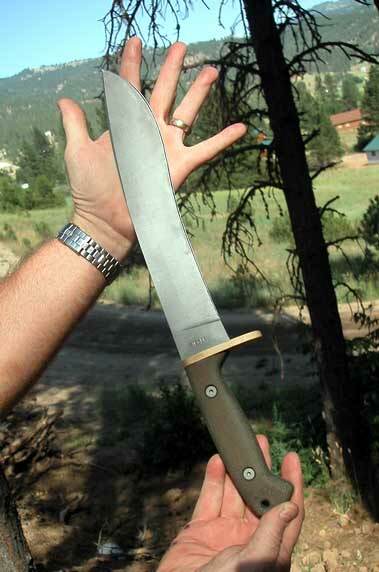 After a few more field tests we will be able to provide a more concise description of the blade. Tests passed: Control, balance, vibration feedback and Frozen Elk Leg bone. 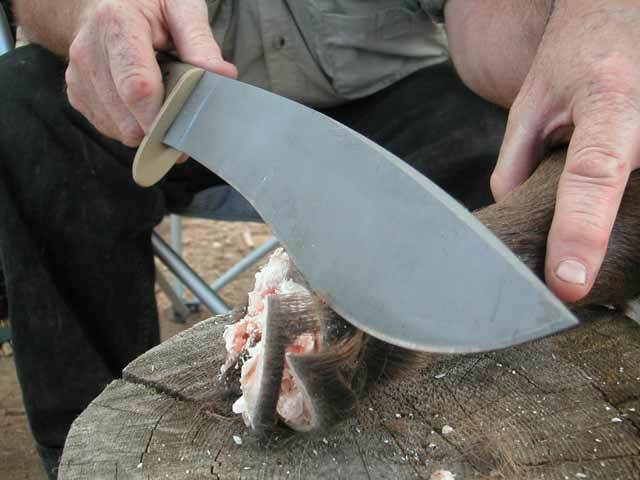 The frozen Elk Leg bone test is a good indicator of the ability of a blade to handle one of the most demanding jobs it will be required to perform. 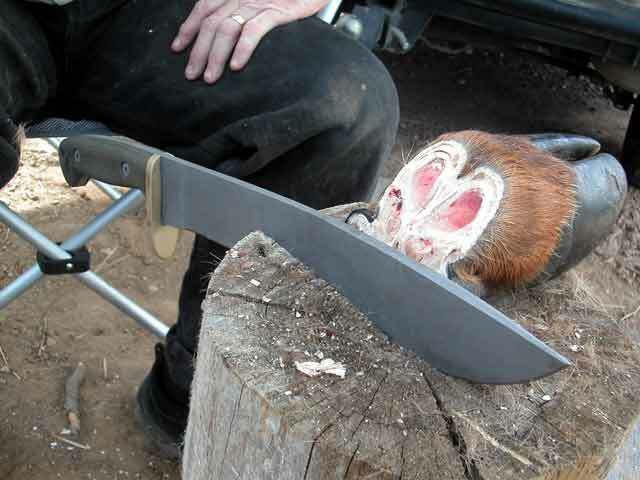 The Elk leg bone is one of the densest bones found on any North American mammal and frequently chips, dents or dulls inferior blades. 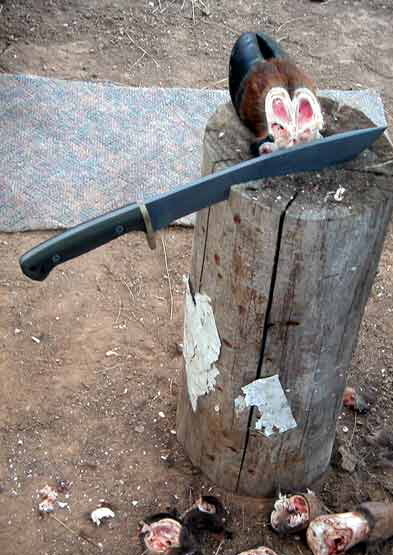 The Siegle blade withstood the test without any distortion or dulling after chopping the entire foreleg into chunks. The only visible sign of wear was a dulling of the finish!